PRO-life campaigner and charity founder Alison Davis died at home in Milborne St Andrew on Tuesday, December 3, aged 58. 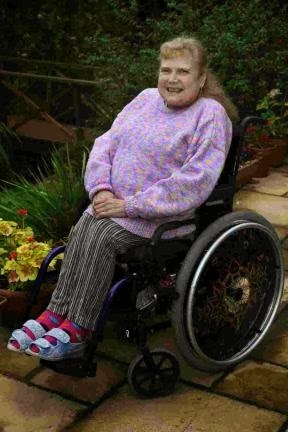 Paralysed from the waist down with spina bifida, which confined her to a wheelchair from the age of 14, her life was defined by a determination to overcome the limits imposed by her condition. Born in Bolton on January 8, 1955, Mrs Davis grew up in Stevenage before attending the University of Essex in Colchester, where she studied sociology. At the time she was pro-abortion, but news reports of doctors starving disabled newborns and terminating unborn children gradually changed her views. 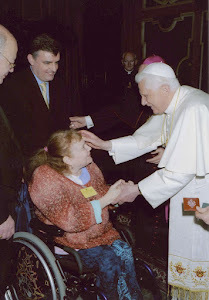 Remaining at the university after her degree, where she worked as a secretary, she joined the Society for the Protection of Unborn Children (SPUC) and later joined their Handicap Division (No Less Human), becoming a high-profile defender of the pro-life rights of disabled people. It was in Colchester that she met her husband of ten years, whom she married in 1975, but they separated in 1985 at the beginning of a very difficult period in her life. Mrs Davis, who suffered from several painful and disabling conditions, including osteoporosis, arthritis and chronic obstructive pulmonary disease, experienced ten difficult years after her separation, in which she made several suicide attempts. Gradually over the early 1990s she found the strength to overcome her difficulties and personal sorrows, with the help of her friends and carers, and a new-found faith. Although raised a Christian she was an atheist for many years, and she explored other religions during this time. However, after reading the Bible she came to view Catholicism as her faith. In 1987 she met Colin Harte, who was working for the SPUC, and he became her carer and devoted companion. The same year she moved to Milborne St Andrew, near Bere Regis, where she lived for the rest of her life. 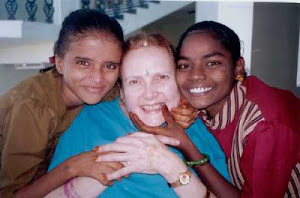 The great transformation in her life came in 1995, when she and Mr Harte visited a disabled children’s centre in southern India, and she was greatly moved by the plight of the young people she met. A simple fundraising appeal they set up grew in time into a full-blown charity, Enable, supporting disabled youngsters at two children’s centres. She said the children had given her a love of life, and this was the reason she campaigned against voluntary euthanasia, which she described as the “hallmark of a society that has given up on its most vulnerable members”. She argued that had she been given the option to take her own life between 1985 and 1995 she would have taken it, and would never have had the chance to turn her life around. During the 1990s Mrs Davis befriended an American death row inmate, Sammy Felder, who had been convicted of killing a disabled man in his care. A life-long opponent of the death penalty, she was moved by his plight despite his crime, and witnessed his execution in December 1999, the last to take place in the US before the new millennium. She was awarded a Clarins Woman of the Year award, Britain’s Most Inspiring Woman from Marie Claire magazine and a Catholic Woman of the Year award. Mrs Davis came to believe there was value in suffering, but never complained of her difficulties to others, and she was always very modest about her achievements. She loved music, nature and the countryside around her home, and was happiest when among her friends. Dorchester. She will then be buried in the cemetery at St Andrew’s Church, Milborne St Andrew.